We currently have the following special offers available. You should fill the application form in order to enjoy them. We will contact you to answer any question you have. 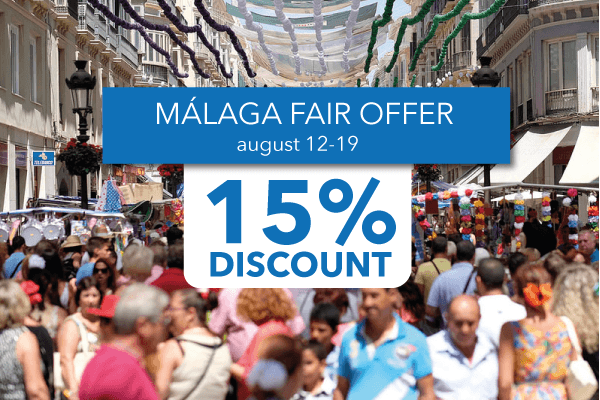 We really hope to see you soon here in Malaga! We want to reward your fidelity. And for this reason for those students who want to take another intensive course with us for at least 2 weeks we offer a 20% discount on your course. At OnSpain we not only teach Spanish, but also make friends. And as we believe in friendship now we offer you a 15% discount on your intensive course if you sign up with a friend. Enjoy an unforgettable experience and share it with your best friend. We are waiting for you!